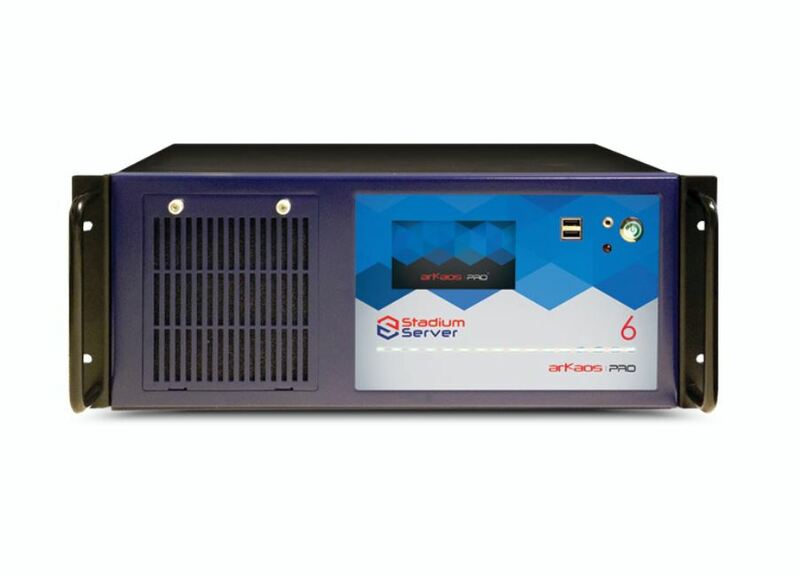 The Stadium Server is an incredibly powerful system designed as a top of the line solution for professional Lighting Designers. This full-option media server runs Full HD video on up to six EDID managed outputs and comes standard with two HD-SDI inputs and fast SSD drives. This incredibly powerful system embark a vast library of high quality digital media from the world’s best visual content providers and a fast recovery system by Acronis which allows extremely simple reset of the server from the boot menu. The custom made case features a very convenient display on the front which allows using the server without having to connect any additional screen. On top of it, a large LED strip conveniently provides a quick visual feedback on the server’s state of operation at any time. It is pre-configured to work directly with all market leading DMX lighting desks. Everything has been done so you just have to plug and play. Shock-resistant up to 2G. Heat tested. Providing easy access to fans and filters. It’s totally road ready.